One of the things that we help our clients with is to validate the casualty claims that their policyholders submit. One of the easiest ways to check the accuracy of a casualty is to check public records. 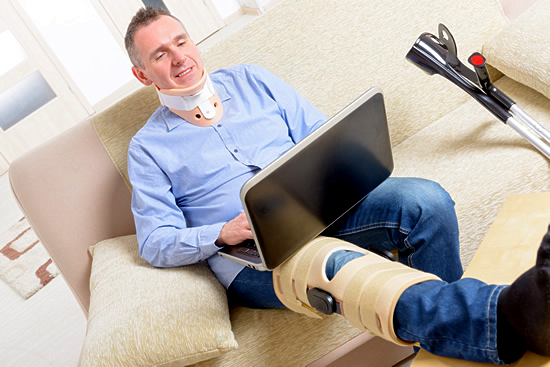 If an accident has been reported in which a person is injured, it is super easy to find out. As we are contracted with your insurance agency, we are also given limited scope to verify hospitalization records and other accident records that are documented. Because casualty insurance is such a broad category of insurance policy, there are a number of things that the policyholder may be able to claim when it becomes necessary to file a claim. This can be both very good and negative for the insurance agency as the broad spectrum of coverage in most casualty policies covers a number of scenarios that are unforeseen and may be considered acts of god. That gives the claimant far more room to maneuver in submitting a claim, and can ensure the insurance company pays out more often. However, some casualty policies are sufficiently vague as to allow the insurance companies wiggle room in denying the claim, although in many circumstances they will not.